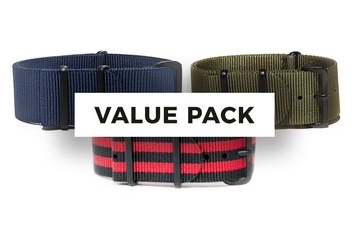 Our value bundles contain our customer favorites and best sellers and are a great way to kick off your NATO strap collection. 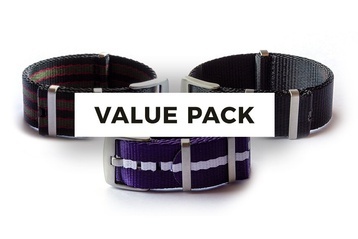 Our straps are easily interchangeable - give you watch a fresh new look in seconds. 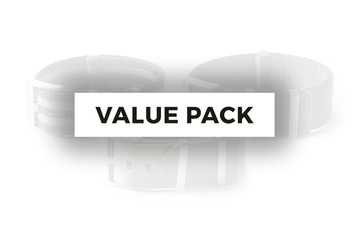 Grab a bundle pack and save up to 60% off our usual prices. 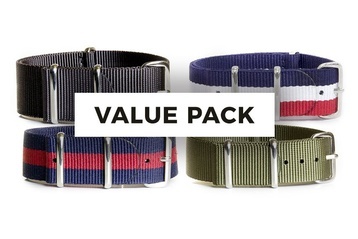 All of our NATO strap bundles come with free domestic shipping.